A Romanian mineworker kidnapped by an al-Qaeda affiliate last year has appeared in a video urging his government to secure his release as soon as possible. 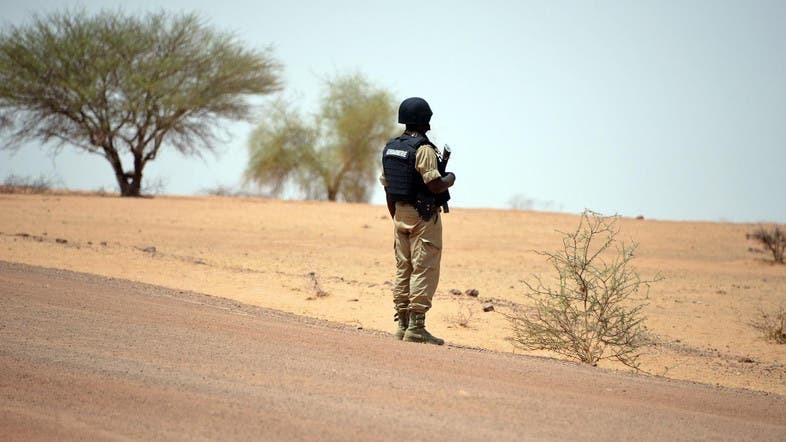 Iulian Ghergut, then a security officer, was taken on April 4, 2015, when five armed men attacked a manganese mine in Tambao in northeast Burkina Faso, officials said at the time. Monday’s video is the first occasion in more than a year that Ghergut has appeared since being taken by al-Murabitoun, led by one-eyed Algerian militant Mokhtar Belmokhtar. The group, which has since affiliated itself with al-Qaeda in the Islamic Maghreb (AQIM), has claimed responsibility for several spectacular and bloody attacks in sub-Saharan Africa. Ghergut, heavily bearded and squinting slightly, says he is in good health in the video he dated to September 21 of this year. The director of Al-Akhbar, the Mauritanian news agency which regularly carries jihadist statements, told AFP that as the new video was released by AQIM, the Romanian must be presumed to be in Belmokhtar’s hands. This is because Adnan Abu Walid Sahraoui, the head of a faction of Al-Murabitoun, has pledged allegiance to the Islamic State since appearing in a video in May 2015 confirming Al-Murabitoun was holding Ghergut hostage. Sahraoui is believed to have moved further and further away from Belmokhtar and appeared in ISIS group propaganda on Sunday. Al-Qaeda and the ISIS organization jostle worldwide for power and support. Al-Akhbar director El-Heiba Ould Cheikh Sidaty said its release could point to a desire to show “proof of life” ahead of any negotiations with the Romanian government. The clip was distributed by SITE, a group based just outside Washington that monitors extremists. “The launch of this kind of message into the public arena is in line with the usual development of this type of situation,” the ministry added in a statement. Kidnappings of foreigners, often for ransom, occasionally occur in Mali and Niger but not usually in Burkina Faso, a landlocked Sahel country.